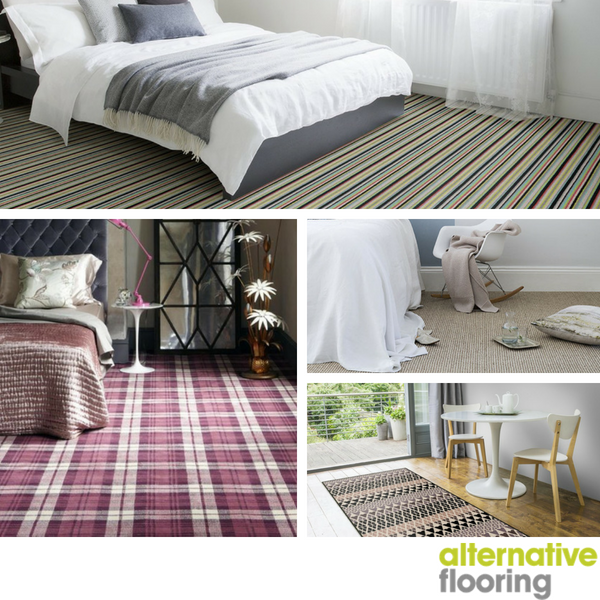 Bring out the best in your home with the endless luxury designs from Alternative Flooring. Whether it's a traditional striped carpet, an elegant stair runner or a quirky rug that takes your fancy, at our Bramley Carpets Heaton Moor Store we offer the entire collection along with a free take-away sample service. Make a statement with the extensive range of Natural Carpets available today. Choose from Sisal, Seagrass, Coir and Jute Fibres to finish a room with a hard-wearing and stylish carpet or a contemporary Rug or Runner. Big on character and texture the Wool Carpet range is incredibly luxurious, naturally soft and comfortable underfoot. Available in an array of designs such as as Chevron, Striped and Herringbone the options are never ending. Be amazed and explore the world of Quirky B award winning patterned carpets. Select from Geometric, Paisley, Floral and Animal Print designs which are all available in traditional Axminster carpet and rug options.